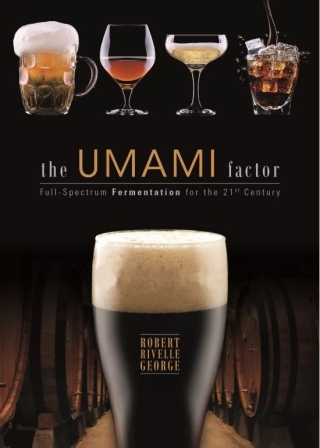 It has been five years since the Wall Street Journal posted its virtually unnoticed article about “A New Taste Sensation.” It’s about umami, and the way that top chefs and food companies are taking advantage of the natural presence of glutamates and nucleotides to perk up foods from the $185 “Umami Bomb” by cuisinier Jean-Georges Vongerichten to the humble bag of Dorritos. The sources of umami are equally diverse in their cultural significance. Ketchup has plenty of umami-producing molecules, as do the “diamonds of the kitchen” Black Périgord truffles. Vongerichten’s breathtakingly pricey appetizer uses truffles, along with a Parmesan cheese custard (also high-umami) to carpet-bomb the taste buds of his richly epicurean clientele. With the ubiquity of its flavors and industry interest, why is the concept of umami still obscure in the mind of the average consumer? Part of the reason perhaps is the influence of the so-called “Chinese Restaurant Syndrome” (CRS) more impressively called “monosodium glutamate symptom complex.” But while many people claim sensitivity to MSG, and many more avoid it because they feel it is somehow an abominably unnatural additive, double-blind placebo-controlled experiments have found no relationship between glutamates and the symptoms of CRS. Because of the bad rep associated with chemical-sounding words in consumer’s consciousness, the food industry looks to umami in an effort to deliver highly flavored foods while cutting back on other onerous ingredients: fat, salt, sugar and artificial substances. So the glutamates may be in there, but they’re provided by yeast extract, soy or Worcestershire sauce, cheese, mushrooms, anchovy powder and the like. What’s the implication for the world of beer? 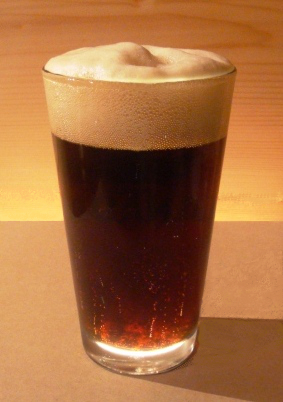 While the average quaffer of “lawnmower beer“may not expect or desire the over-the-top richness of an umami bomb in his or her beverage, I believe that the days of water flavored with beer may be drawing to a close, at least in the large US market. The commercial brands losing the greatest percentage of sales over the past few years have been the light, virtually tasteless lagers. Meanwhile America now has more breweries in operation than it did before prohibition. And while some of these are taking the addition of umami to what I consider a ridiculous extreme, there is no doubt that beer advocates are returning to the classic, full flavor of the beers from the past. This full flavor is in large part contributed by the umami-producing ingredients in their recipes.